Musings on Mormonism: New Poll! 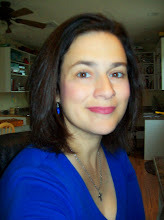 Hello Gloria and thanks for visiting my blog and leaving a message. Bless you for listening to the promptings of the Spirit and sharing this message of grace. It is an exceptionally well presented Bible study, very clear and a thrilling reminder of why I came to Christ. I think you must be fellowshipping in a BIBLE church and thank God for mature Christians who lead people to appreciate God's Word. My wife Ann and I spoke at a local Baptist Church for the first time tonight, she to share testimony and me to preach. I spoke on Romans 5, "Therefore now that we have peace with God..." Then I came home to visit your blog and got the same message all over again. Praise God for His wonderful grace! What you are doing is essential, both for Mormons who need to hear this message and for Christians who need encouragement and equipping to witness to Mormons. Every Blessing in all you do. I have truly enjoyed your blog. I was wondering if you had heard about this? http://mormonchallenge.com/dnavs.html It is about DNA and the mormon church. Very interesting. Hello, Keri. Thanks for stopping by my blog and for your encouraging note. Yes, I have viewed the DNA movie from Living Hope ministries. It is a good video. My mormon husband watched it as well. ps. it's always good to hear from other adoptive moms!! Hi, mike! Thanks for taking time to stop by my blog and for your encouraging note. It's always a great pleasure for me to "meet" other former mormons now sold out for CHrist!